Last night I was fortunate to give a short presentation to the Cephalopod Appreciation Society. 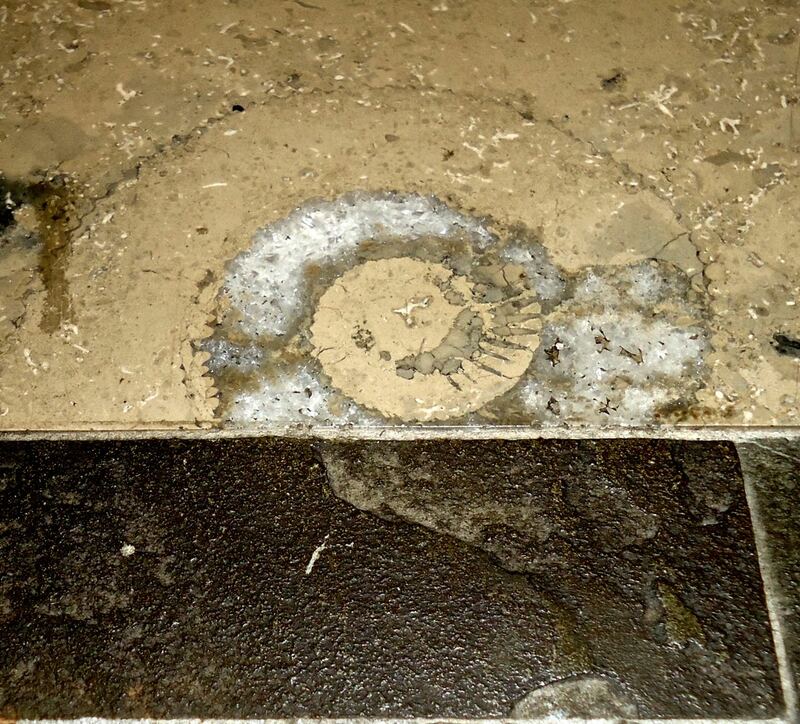 I wanted to follow up that talk with a guide to where to see ammonites in Seattle. Here’s the skinny. 155 million year old Treuchtlingen Marble – It is actually a limestone because the rock has not been metamorphosed. During the Jurassic Period when dinosaurs roamed the land, a shallow sea covered much of Europe. Many critters from that sea are now preserved in the tan to gray limestone. When the animals died they settled to the bottom of the sea. The most common fossils are sponges, bottom dwelling, filter feeders that formed small mounds. They may be round, straight, or irregularly shaped and are darker than the surrounding limestone. The ammonites are the largest fossils. They are coiled-shell animals that resemble a top down view of a cinnamon roll. The biggest ones in the German limestone are about five-inches across, whereas the largest ones that ever lived were six feet wide. 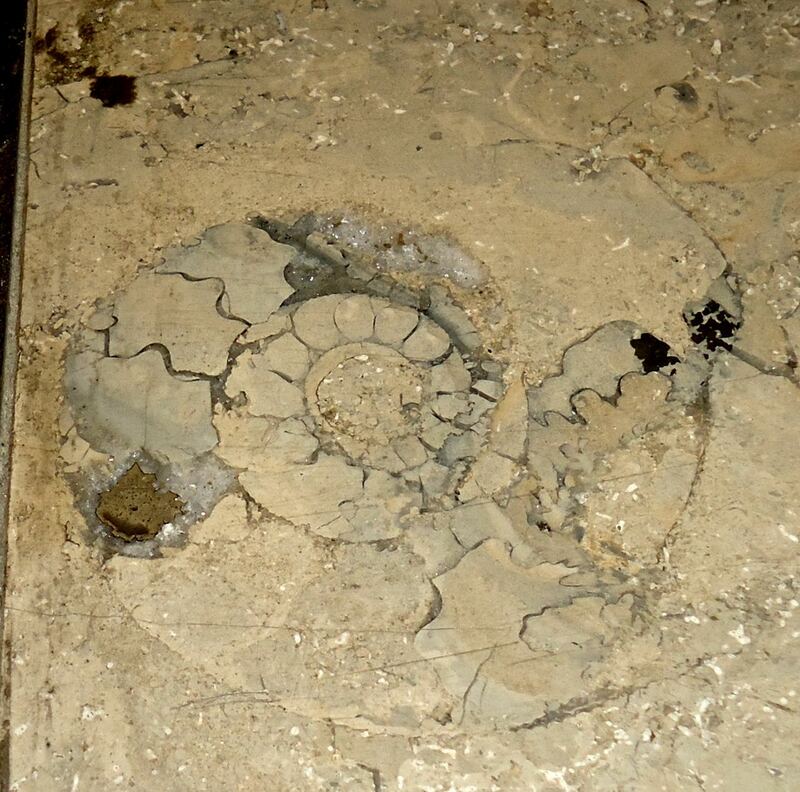 Ammonites swam the seas from about 400 to 65 million years ago, going extinct, along with dinosaurs, at the K-T boundary. Their modern relatives include squids, chambered nautiluses, and octopi. You can also find another squid relative, belemnites, which look like a cigar. They are dark brown and somewhat shiny. 1. Cherry Hill branch of Swedish Hospital, formerly Providence Hospital (on East Jefferson St. between 16th and 17th Avenues) – Fossils are in the main building in the stone that makes up the floor. 2. SeaTac Airport – A/B Food concourse, walls are covered in Treuchtlingen. 3. Grand Hyatt Hotel – 7th Avenue and Pine Street – Floor of lobby and into hallway/lobby of conference rooms on ground floor.